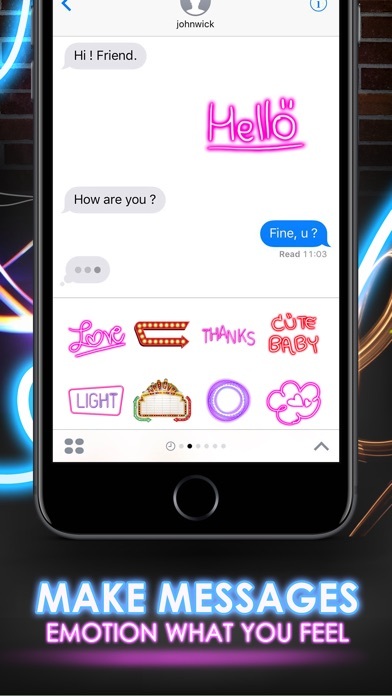 Purchase Neon Emojis and get over 40+ Neon emojis to text friends. Neon Emojis is two emoji apps in one - a keyboard app for quick access when texting and a full app for sharing to social networks. 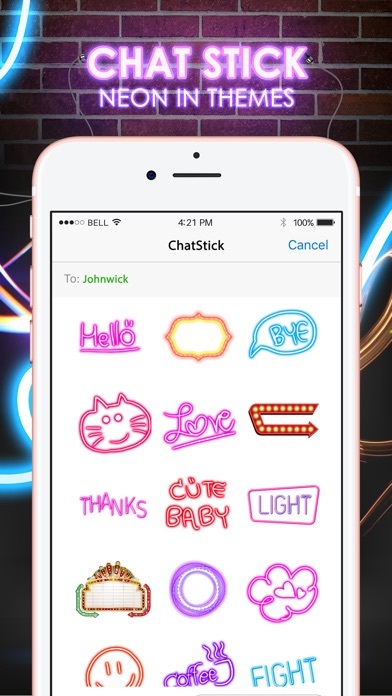 Keep the excitement by adding digital stickers to all of your messages! 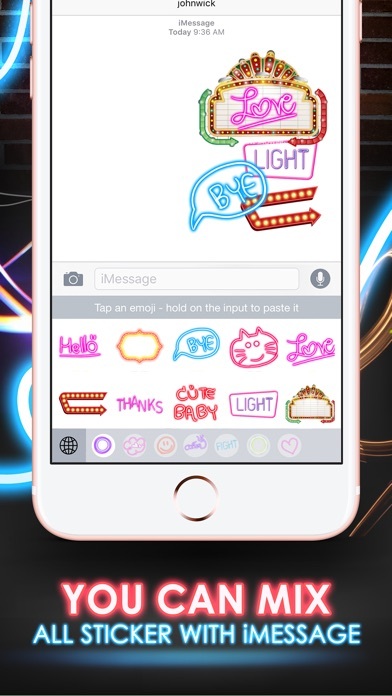 • Neon Emojis’s digital stickers can be received and viewed by anyone. Illustrations are high resolution and look great no matter where you share them. You can even post them to social media sites like Instagram, Facebook, and Snapchat. A NOTE ABOUT ALL ACCESS: Privacy is our top priority. Neon Emojis does not collect any personal identifying information or transmit anything you type. Turning on “Allow Full Access” gives the Neon Keyboard permission to copy and paste the emoji images.